Great value for this bright and beautiful 2 level townhouse with separate entrance off a secured courtyard! This 1 bedroom + den features a large living space and private rooftop deck with great views of downtown and the North Shore mountains! Extras include 2 parking, storage locker, walk-in closet, gas fireplace, hot water radiant heat, and separate shower & tub! Beautifully updated with engineered hardwood flooring throughout, renovated fireplace, new blinds, new light fixtures, new baseboards and fresh paint! 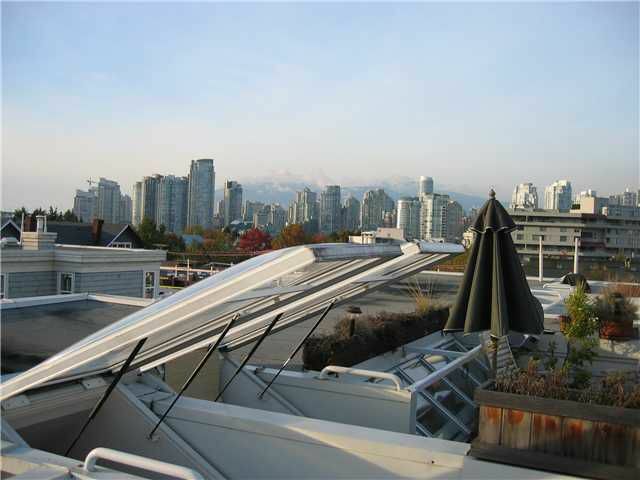 Centrally located and steps from Cambie Street, Canada Line, seawall and minutes to Granville Island and downtown!